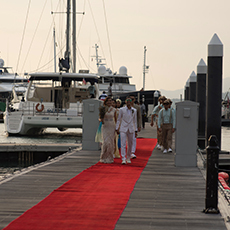 Our award-winning 250-berths marina is situated on the south-east corner of Langkawi Island. 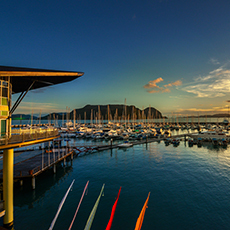 The marina can accommodate mega-yachts up to 90 meters. 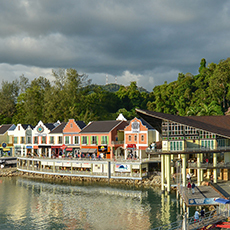 The marina is about 2km or 5 minutes drive to Kuah, the island’s town centre, providing excellent access to duty-free shops, banks , post office , hardware stores and other business facilities on the island. Pontoons have direct electricity, fuel and water supply with complementary Wi-Fi connection. CQIP offices are conveniently accessible within 5 minutes walk from RLYC marina. The marina can accommodate mega-yachts up to 90 meters. How do I register for berthing? It's easy and can be done online or upon your apprival at the marina. 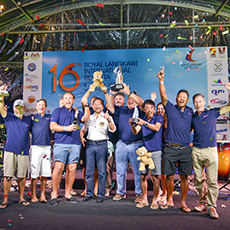 Boat owners and skippers can apply by completing both the registration and crew forms. How much does it cost to berth? Depending on your vessel, daily berthing rates may vary. View the latest rates here. Payments are required in advanced and check-in/out time is at 1200 hours.